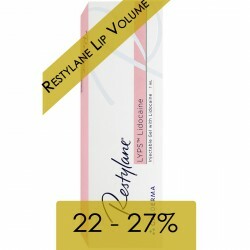 Restylane® Fynesse (1x1ml) - Aesthetic Pharma Sp. z o.o. 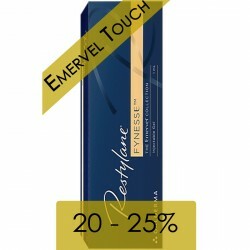 Restylane® Fynesse (Emervel® Touch) is a soft and subtle formulation for the treatment of superficial wrinkles, such as peri-oral lines (around the mouth) and peri-orbital lines (around the eyes, crow’s feet). It is injected into the superficial dermis. The Optimal Balance Technology™, employed in the manufacture of Emervel, provides a product which lasts for 6 - 9 months. In clinical trials, some effects have also been seen at 12 months. fine lines on the forehead and upper face.